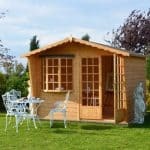 A uniquely shaped summerhouse perfect for an unused corner of your garden that you wish to make a feature of with this stylish garden building. 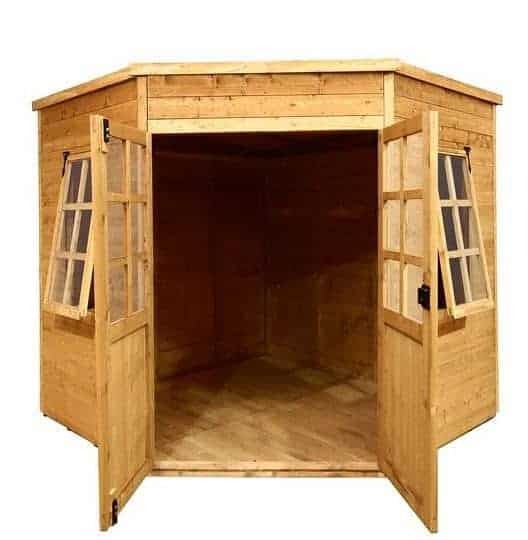 Perfect for a range of uses, from extra living space to a workshop or storage, whatever your plans they are sure to come alive with this superbly designed summerhouse. 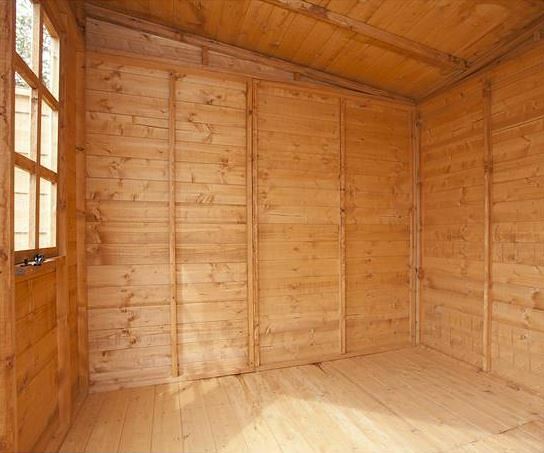 Definitely an extremely eye-catching addition to any garden, the BillyOh 5000 Georgian summerhouse Premium shed is a superb example of outstanding space. In a stylish, contemporary design and with light and airy functional opening windows, large double doors and ample interior room inside it makes an excellent choice for garden enthusiasts everywhere. Tongue and groove cladding makes this strong and made from hard wearing wood it will last you for many years to come. With a unique corner shaped design, the Georgian summerhouse can be used for a range of activities. 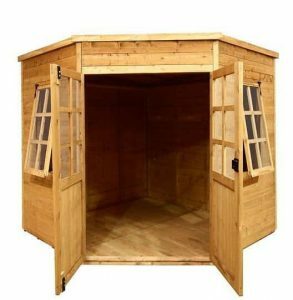 Whether you wish to create living space within your garden for a small hideaway or maybe for spending time enjoying your favourite hobby or garden activities, if you are looking for a smaller sized summerhouse then this could be the one for you. Great for an individual or a couple alike, there is space for a few pieces of furniture with which you can make the space your own. 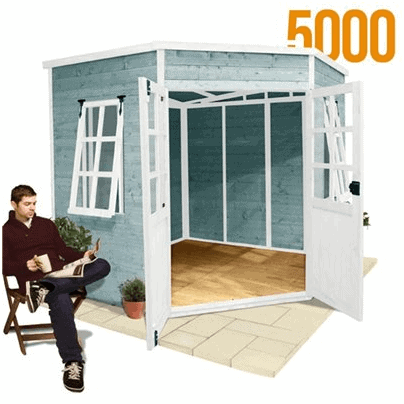 The Billyoh 5000 Georgian Summerhouse: How safe is it? 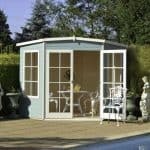 The team at whatshed.co.uk seek to answer all of your questions regarding this summerhouse’s design and unique features that could affect you final choice of summerhouse. Below we take an in-depth look at those features which we feel may be of interest to you during the decision making process. Exterior: The exterior of the summerhouse provides a charming feature for your garden, fitting neatly into an unused corner, proving particularly popular for smaller gardens. The many windows and doors allow a large amount of light into the summerhouse. Windows and doors: The large double doors may be opened to provide an inside-out feel to your summerhouse and a fantastic view to and from your garden. With light flooding in at all angles, this is a superb space in which to enjoy your favourite activities. Interior: The interior provides a great space in which to relax, indulge in your favourite activities and hobbies or entertain family and friends whilst showing off your garden to the full. This attractive building could also be used for storage, utilising the space further by adding free-standing storage furniture, hooks and the like for easy accessibility to all of your important bits and pieces. 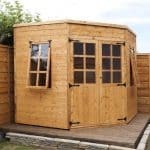 Security: This summerhouse does not come complete with security fixings, however we are aware that this is of importance to some of our customers. If you seek peace of mind that your belongings are being taken care of, then it is possible to add a range of security fittings, including padlocks, to suit your particular needs. The Billyoh 5000 Georgian Summerhouse: How easy to build? 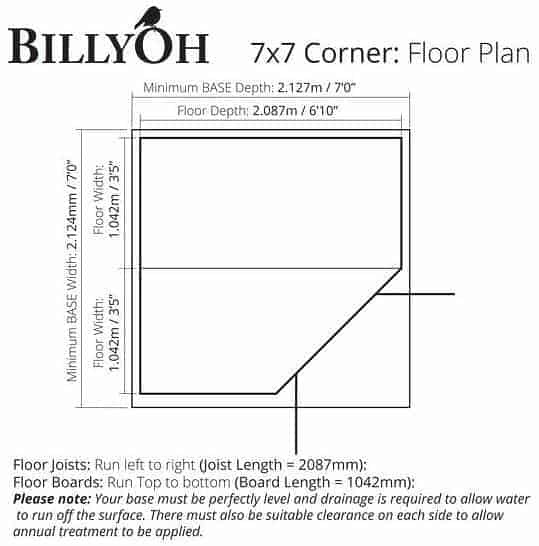 BillyOh strive to make their products accessible to as many people as possible, including the most nervous of novice DIYer. 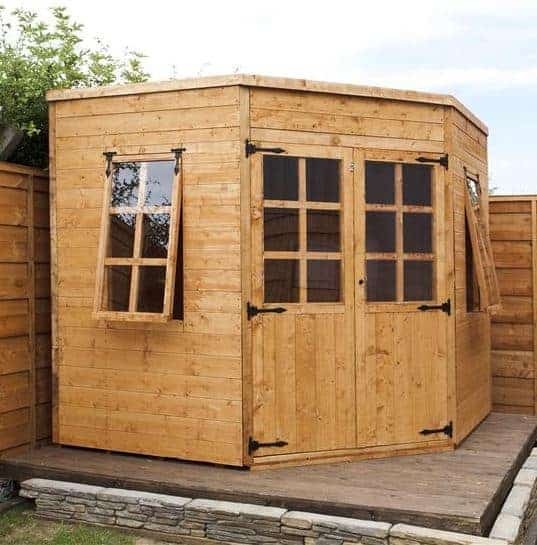 From the moment your summerhouse arrives, you will have everything provided for you in the form of easy-to-manage panels and with all screws, nails and fixings provided. All that is required of you is a basic tool kit and maybe a friend or relative to help you ensure that the construction process goes to plan. Full instructions are provided with easy-to-read diagrams in case you should get lost along the way. We expect that this summerhouse could be constructed within two hours. 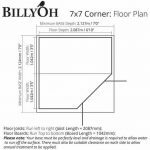 The Billyoh 5000 Georgian Summerhouse: What is the overall quality like? BillyOh have done it again – this summerhouse strikes the perfect balance between decorative features and quality design. With a superior thickness of timber and sturdy Georgian design windows and doors, here you have the attractive design of a summerhouse combined with the sturdiness and protectiveness of a shed. Ready to protect you and your items whatever the weather, this summerhouse keeps you dry and secure, even if it is doing the opposite outside. Maintenance and cleaning couldn’t be simpler with a quick hose down and/or sponge clean you will have your summerhouse looking smart again in no time. 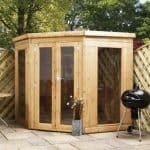 The quality finish ensures that your summerhouse will look as great in five years’ time as it does today. 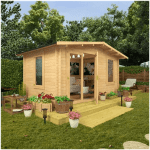 If you desire more living space within the peaceful surroundings of your garden then a summerhouse could be just what you are looking for. 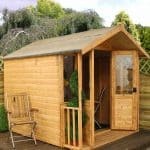 If you have a smaller garden, or even a larger garden with an unused corner, this summerhouse is perfectly shaped to fit into a corner plot. At a mid-range price point for summerhouses of this type, this summerhouse scores highly due to its unique shape and design.